The Italian recreates the moment with a hotel maid. 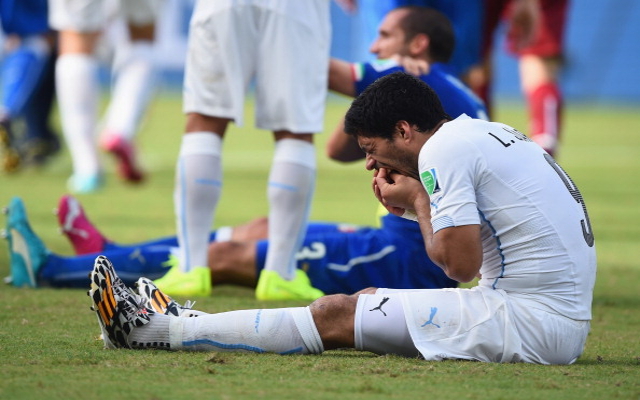 Perhaps the biggest talking point of the 2014 World Cup so far has not been a goal, or even a sending off, but rather the alleged bite by Uruguay forward Luis Suarez on Giorgio Chiellini of Italy. The incident took place during the two teams’ final Group D game on Tuesday, in which a 1-0 victory for the Uruguayans was enough to take them through at the expense of the Italians. However, the footage of Suarez seemingly sinking his teeth into Chiellini has stolen all the headlines and the defender appears to have seen the funny side of it by recreating the moment with a hotel maid in Brazil.